THE FURNITURE PEOPLE (AUSTRALIA) IS A THIRD GENERATION FAMILY BUSINESS DEALING IN HOME FURNISHINGS. OUR JOURNEY STARTED IN MAURITIUS IN 1945 WHEN WE ESTABLISHED OUR FIRST WORKSHOP ON ONE OF THE MAIN STREETS OF PORT-LOUIS. BY 1960, WE HAD THREE BRANCHES AROUND MAURITIUS AND QUICKLY BECAME KNOWN FOR OUR OBSESSION FOR QUALITY. 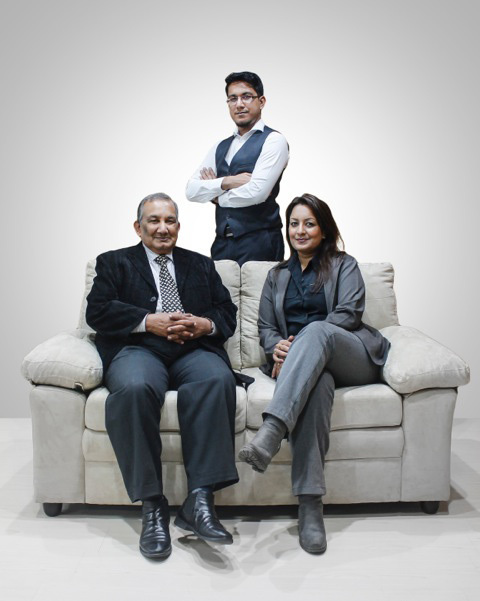 THE SECOND GENERATION WENT ON TO GROW THE BUSINESS EVEN FURTHER. IN 1998, WE HAD A WORKSHOP EMPLOYING 350 PEOPLE INVOLVED IN MANUFACTURING A WIDE RANGE OF ITEMS SUCH AS BEDROOM FURNITURE, SOFA SETS, KITCHEN FURNITURE AND OFFICE FURNITURE. WE EVENTUALLY BECAME A ONE-STOP SHOP FOR ALL OUR CLIENTS' HOME FURNISHING NEEDS BY OFFERING TIMBER FLOORING, TILES, BATHROOMS, TOILETS, SINKS AND EVEN WATER TANKS. WE ESTABLISHED A VENTURE IN SOUTH AFRICA IN SEARCH OF VERTICAL INTEGRATION. TODAY, WE ARE ONE OF THE LEADING FURNITURE MANUFACTURERS AND RETAILERS IN MAURITIUS. THREE GENERATIONS ON, WE HAVE BECOME EXPERTS IN WHAT WE DO. FROM SOURCING THE BEST RAW MATERIALS TO PICKING THE MOST ADVANCED TECHNOLOGY, WE HAVE THE KNOW-HOW LEARNED FROM YEARS OF EXPERIENCE. TODAY, WE BUILD UPON THIS EXPERTISE AND SOURCE PRODUCTS FROM AROUND THE GLOBE. as an australian owned family business, we bring quality furniture to you at half price. WE BELIEVE IN PUTTING OUR CUSTOMERS' INTERESTS FIRST AND WE BELIEVE THAT OUR REPUTATION IS OUR MOST VALUABLE ASSET. WE BELIEVE THAT OUR CRAFTSMANSHIP IS WHAT KEEPS US AHEAD OF THE GAME AND WE CONSTANTLY TRY TO OUTDO OURSELVES THROUGH INNOVATION. WE ARE A BUNCH OF PEOPLE WHO GENUINELY LOVE WHAT WE DO AND WE HOPE AUSTRALIA WILL LOVE US FOR THAT.